Do you organize events? Then social media should be one of your favorite marketing tools. Social media channels can get you more attendees and more event engagement. But only if you use them right. 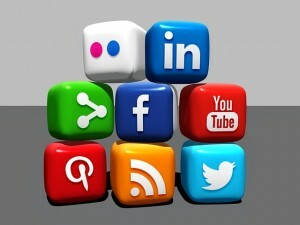 Before starting to develop specific social media strategies, you should first define your target audience. Which social media networks do they actively use? Also research which online groups they are members of. If Google+, for example, is not so popular with the majority of your prospective attendees, you shouldn’t waste time on it. Decided which social channels you want to use? Good! Now try to stay active on all of those channels. Regularly promote updates before, during and after your event. Also make time to respond to questions and retweet, like and share. Keep in mind that different social channels are used in different ways. So be sure to adapt your messages to each network. A funny video might not do as well on LinkedIn as it would on Facebook, for example. Event websites: for example a city’s monthly event calendar, or Eventbrite where you can also sell tickets. When it comes to event websites where you can promote your event, there’s only one rule: the more, the better. You want to reach as many people as you can, in as many ways as you can. 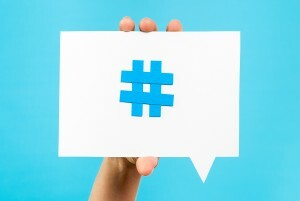 Use your hashtag on Twitter, Facebook, Instagram and Google+. You can even mention it in news letters, flyers, etc. With Facebook Ads and/or Google Adwords you can spread the word about your event. These paid promotions will help you target more possible attendees and promote your event. 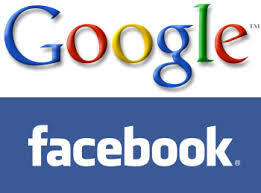 Can’t choose between Facebook or Google? They both have their advantages. This infographic can help you decide which one is a better option for you. Bonus tip: If most of your audience is on Twitter or LinkedIn, you can also consider advertising with Promoted Tweets on Twitter or targeted LinkedIn advertisements. Create and share remarkable content to promote your event. A simple video about your event is the most effective way to do that. This video about the Diesel On Tour Live Event definitely made its attendees look forward to the event. Free tickets? Yes please! 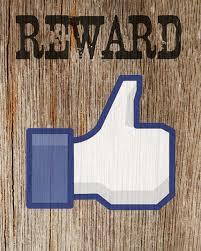 Possible attendees won’t mind to post a simple tweet or share a Facebook message, if they can win a ticket. 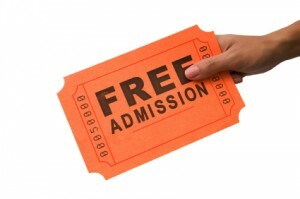 Giving away free tickets is an easy way to generate interest in your event and to create some buzz. 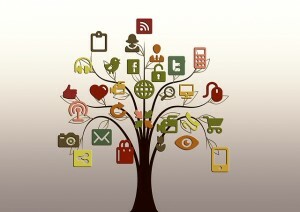 Bring the online social media feeds to your offline event. You won’t regret it. 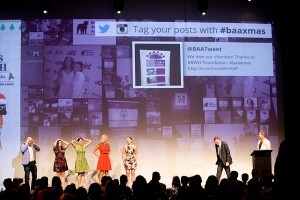 Displaying a live social wall at your event has plenty of advantages, as you can read in this article about displaying a live Twitter stream at your event. During your event, you can also use social media to organise recreational activities. Entertain and engage your guests with some fun. They will love online games or contests as a welcome break from more serious lectures. Whether you organise a selfie contest or a simple sweepstake: don’t ruin your effort by selecting an unwanted prize. Choose a prize that matches your attendees interests. Want to play it safe? A free registration for next year’s event is always a good option. If your attendees enjoyed your event, they like to tell their friends about it on social media. If you’re lucky, some will even dedicate a positive blog post to your event. Be sure to share those posts on the event’s social media channels. You’ll kill two birds with one stone: reward the bloggers by promoting their blog and promote your event at the same time. Your attendees won’t only share blog posts, but all kinds of media about your event: videos, photos, Tweets, etc. With a tool like Storify it’s easy to collect this valuable feedback shared on social media. Share those positive messages through your event’s social media channels, or even embed them in your website. Why? 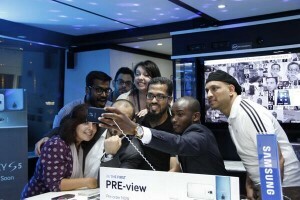 To keep your attendees engaged after the event and to warm them up for your next event. Social media can be quite overwhelming. So many channels to use, so many people to reach, and even more possibilities. Hopefully, these 10 tips can guide you through the social media jungle to get the most out of your event!